Lt Gen. Kamal Davar (retd) says NSA’s decision-making or advisory capacities are far larger and significant than merely being a coordinator of intelligence. Chandigarh: The first director-general of India’s Defence Intelligence Agency, Lt Gen. Kamal Davar (retd), said Saturday that the National Security Advisor has a much bigger role than mere coordination. He also recommended the creation of a new position — director of national intelligence — for the purpose of coordination. “We have good intelligence structures. We have good coordination among our various intelligence agencies. But I’m afraid that at the apex level of intelligence, we have the National Security Advisor, who is coordinating, apart from his other jobs,” Davar said, without making any reference to the incumbent Ajit Doval. Davar, who also served as deputy chief of Integrated Defence Staff, was speaking at the Military Literature Festival in Chandigarh Saturday, in a session titled ‘Wisdom of Spies’. His comments come just a few days after the extradition of Christian Michel, which the CBI says took place under Doval’s guidance. “The NSA’s mosaic, as far as policy making is concerned, his decision-making or advisory capacities are far larger and significant than merely being a coordinator of intelligence,” Davar said. “The NSA is an intelligence czar, which I think we may like to avoid,” he said, reiterating that India must have a director of national intelligence. “It should be on the lines of what is followed in the United States. They have so many intelligence structures,” he later told ThePrint on the sidelines of the event. Also Read: Should NSA Ajit Doval have helped CBI in Michel extradition or is he right in using clout? Speaking about improving India’s intelligence capabilities, Lt Gen. Davar said there is a need to invest more aggressively in mastering South Asian languages like Mandarin, Sinhalese and Pashto. He also spoke about the need for better technology in intelligence gathering, and said India’s covert capability would depend on the marriage of technology and intellect. Davar also complained that any major security failure was termed “intelligence failure”, which was not always true. Davar was seconded by former police officer K.C. 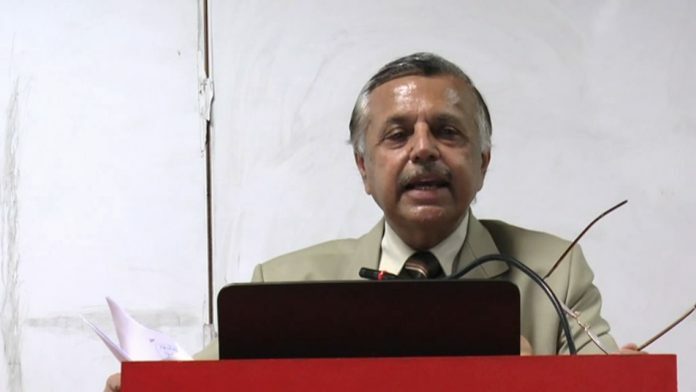 Verma, who said information gathering is one important aspect of success, but “taking a sound decision on available intelligence is a specialised art which not many have” — a veiled attack on politicians and civil servants. Davar also spoke about the need to put all three wings of the military under one unified command, while another panellist, Lt Gen. Sanjiv Langer (retd), disagreed, saying India needs different heads who come together to contribute towards a crucial decision.